Whether you are promoting a local event or want to increase awareness of your product or service, we have a large network of digital signs located around the West Michigan area. 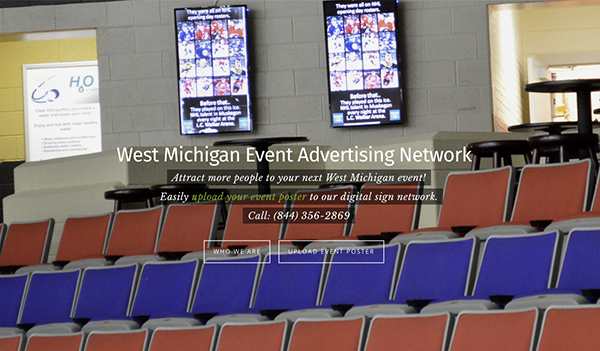 Float My Event is a West Michigan focused digital advertising network promoting upcoming local events. The signs are strategically located around West Michigan. Local businesses participating in our network will display your event promotional poster on an ongoing basis, helping to ensure the success of your event. Art, music, theatre, sports, charity, festivals, education and other local events of interest are featured on our digital signs.” You choose exactly how long before your event you want to start advertising. Your event will be seen periodically throughout the day at each of our West Michigan locations. We have a large network of digital signs located throughout the West Michigan area. Advertising to a local audience has never been easier or cost effective. 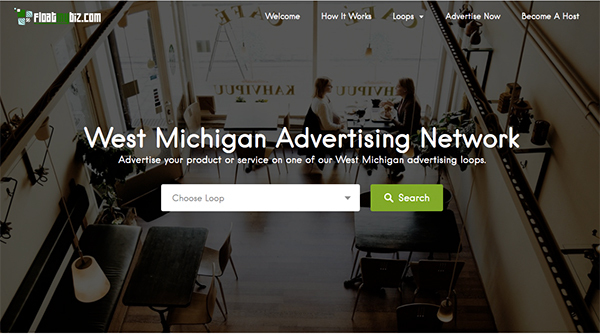 Float My Business is a collection of West Michigan focused digital advertising networks. We are the digital answer to traditional print advertising. In contrast to paper posters, our digital signs come alive with vibrant color, bright light, and eye-catching transitions. The signs are strategically located around West Michigan. Your advertisement will be seen periodically throughout the day on the designated loop. Are you interested in hosting a display? We offer advertising display networks for commercial use. This includes needs assessment, hardware/software integration, deployment and installation, ongoing display management, and content creation as needed. Copyright 2017, All Rights Reserved, Floatm LLC.